Our research group consists of researchers and students from the Laboratory of Multitrophic Interactions, Czech Academy of Sciences in Ceske Budejovice, Czech Republic and Binatang Research Centre, Madang, Papua New Guinea. My name is Katerina Sam (maiden name Tvardikova). I am a widely trained ecologist, with interests in multitrophic interactions, community ecology, conservation and also behavioural ecology. My work focuses on different aspects of ecology of (tropical) birds, (tropical) insect and plants, and interactions between them. I am head of Laboratory of Multitrophic Interactions at the Institute of Entomology, Biology Center Academy of Science of the Czech Republic and I am also employed at Department of Zoology, Faculty of Science at the University of South Bohemia in Czech Republic. Ph.D. student at the Faculty of Science, University of South Bohemia in Ceske Budejovice, Czech Republic. Her Ph.D. topic is Interactions between plants, insect and predators: their mechanisms and ecological importance. Anna finished her Master degree under my supervision also at Faculty of Science, University of South Bohemia in Ceske Budejovice, Czech Republic in winter 2017. Her research topic was: Orientation of different insectivorous bird species when searching for food. Anna was testing how different bird species are able to use volatile compounds as a clue when searching for herbivorous insect. Further she asked: “Does have nutrient supplementation to host plants indirect negative effect on plant-feeding herbivores via greater emission of attractive volatiles and stronger attraction of birds?” Both experiments were performed in Ceske Budejovice. Her previous research was focused on interspecific aggression between two European species of Treecreepers. Feel free to contact her if you are interested in her research. Ph.D. student at the Faculty of Science, University of South Bohemia in Ceske Budejovice, Czech Republic. Sara finished her master degree at University of Barcelona where she worked on oak-gall wasps of Colombia. In our team, she specializes on ants from along latitudinal gradient and collections resulting from BABE project. Richard started his work in Papua New Guinea in Wanang Conservation Area on his Master thesis project. In 2016, he starter further work on New Guinea frugivorous birds, their feeding specialization and analyses of available food resources along elevational gradient of Mt. Wilhelm. Katka started her master degree with us in 2018. 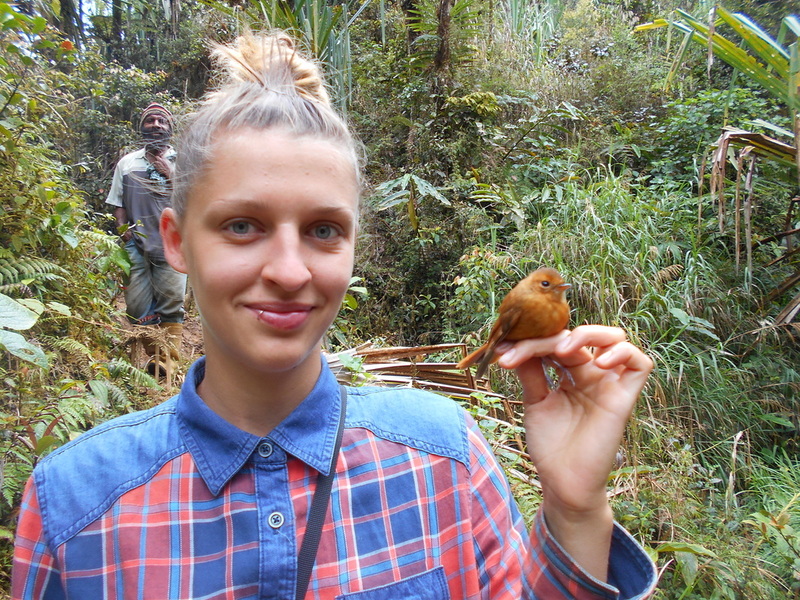 During her thesis, she will focus on the effect of bird diet on microbial gut fauna and on feeding specialization of tropical birds in Papua New Guinea. Katka is based at Faculty of Science, University of South Bohemia in Ceske Budejovice, Czech Republic. Bulisa will analyze data resulting from National Forest Inventory. He will be conducting several survey methods at many study sites across whole Papua New Guinea, and analyze the data with respect to forest quality, biomass, forest type etc. 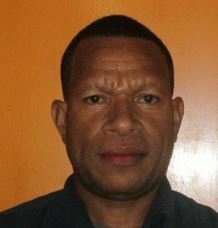 Master student based at University of Papua New Guinea and Binatang Research Centre in Madang, Papua New Guinea. Markis will be conducting several survey methods at several study sites across an elevational gradient in Papua New Guinea, and analyze the data with respect to bird's diversity, abundances and their feeding specialization, which he will relate to arthropod abundances. Jan Lenc studies at Faculty of Science in Ceske Budejovice. He works on ants, their ecology and feeding specialization. He assists with ant exclusion project in NP Podyji in Czech Republic, and his bachelor topic focuses on comparison of ant communities in forest canopies and understories in Czech Republic and in Japan. He also assist Marketa Tahadlova, with identification of ants in her treatments. 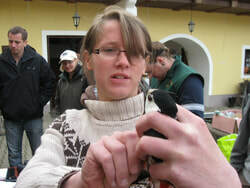 Technician - working on all experiments related to birds in Czech and on galling insect. Technician - working on analyses of bird calls, work with song meters etc. Defended in June 2017 at the Faculty of Science, University of South Bohemia in Ceske Budejovice, Czech Republic. Adela works on functional diversity of birds in pacific region. She works with literature data, collects data on island sizes and species lists for individual islands in the region. Master student based at University of York, worked on her thesis under my supervision in summer 2015. Lucia based her Master thesis on part on part of our Exclosure Experiment, which is currently running in Papua New Guinea. She was working on bird/bat exclosures at four elevational sites, in highlands and in lowlands. Lucia successfully defended her thesis in autumn 2015, and continues her carrier as Project coordinator of SEED project in Madagascar.and part-time entomologist at National History Museum in London.